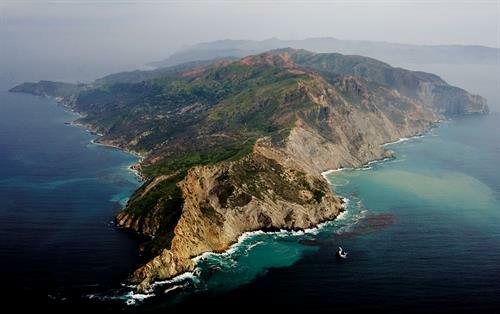 Catalina Island is a favorite destination for many divers and snorkelers. Just two hours from the San Pedro Harbor, this island offers great Kelp beds, a variety of life, pinnacles, walls, and it offers something for all levels of divers. 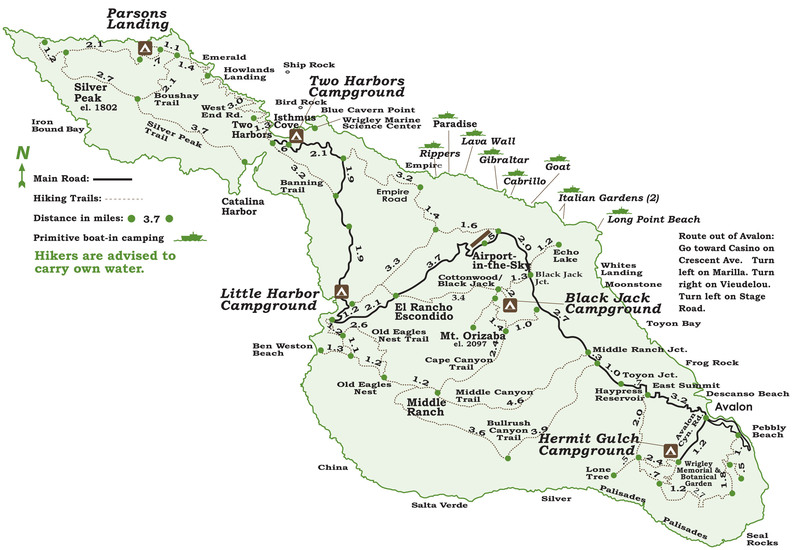 The "front side" is the leeward (sheltered side) of the island and offers some of the best water clarity 30'-100'+; photography, kayaking, snorkeling and sightseeing are popular activities. Catalina Island provides the best diving conditions in Southern California for photographers and any level of diver. Currents are generally mild and there's always a calm and clear site to dive. Farnsworth is one of the most sought-after dive spots in California. Weather conditions have to be just right to reach it, because it's on Catalina's exposed backside, but the marine life here is very rich and includes the rare and beautiful purple hydrocoral. Several different sea pinnacles actually make up this area; the shallowest coming to within 60ft/18m of the surface. The diving is advanced, due to the depth and current and the need to watch out for fishermen near the surface. 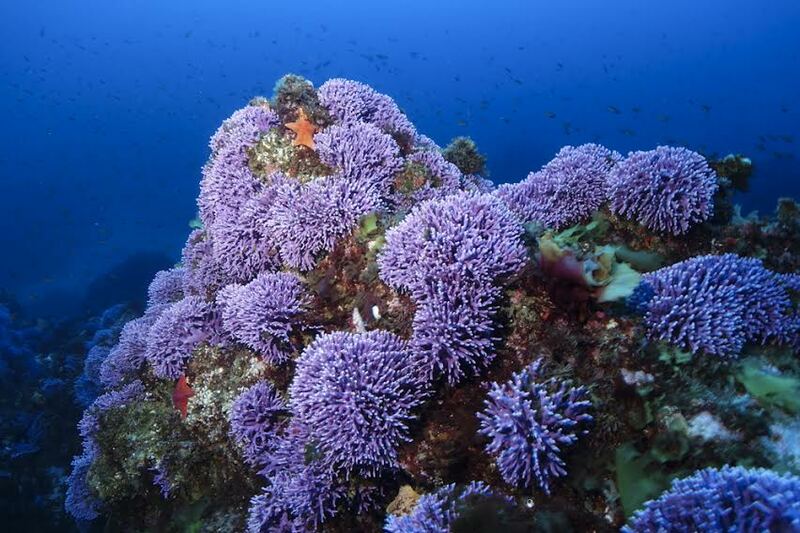 Farnsworth is home to the rare Purple Hydrocoral (Allopora californica). Hard corals are rare in cold water and this is one of the few species that exists in our waters. The pinnacle is covered with the coral and makes great picture opportunities. Some experts have suggested that the coral variety found at Farnsworth Bank is a distinct species that is unique to this site. Look but don't touch as the coral is protected. There are ample picture opportunities and Farnsworth Bank is also a great place for deep diver training. Little Farnsworth should not to be confused with the real Farnsworth Banks. Marked by buoys and rope . Numerous wrecks and marine life. Beware of heavy boat traffic when outside of park. Dive permit required from Avalon Harbormaster prior to diving the Valiant or inside Avalon Harbor at the once a year Avalon Harbor Clean-Up.